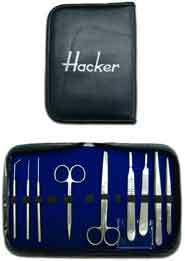 H/I proudly offers you laboratory ancillaries you need to facilitate those routine laboratory tasks. All of your products are manufactured to meet the highest quality standards to insure that they will make a valuable contribution to your laboratory for years to come. This high tech system features 2 models. A modular version with over-sized work and storage areas, or an all-in-one compact unit for lower volume facilities. Your dependable, secondary melted paraffin source. 1.75 gallon capacity. Drip free, high flow paraffin delivery. Stainless steel inner reservoir, rigid metal casting, hard coat finish and drop on stainless steel lid for easy cleaning. Filter screen prevents delivery tap blockage. Two position lever tap locks in open for total flow control. Priced to meet your budget. Made in U.S.A.
Ductless, compact and portable. No draft. Fumes are pulled down through perforated work tray and adsorbed by activated carbon. Pure, breathable air is returned from the top of the unit. Uses low cost pelletized carbon, or no mess carbon pillows. Digital timer shows elapsed usage time, with warning light. Ideal for pathology, histology, cytology, life sciences and industrial applications. Mutiple units may be used side-by-side to create a fume free work area as large as needed. Made in U.S.A.
High quality tools in compact leather case. Comes in small and large assortment. High Profile, Low Profile or he unique Magnacut System. Fast and economical, the unique patented process, sharpens and reconditions all steel microtome knives, profiles A, B, C, and D up to 25 cm length in minutes. No messy pastes. The H/I-76 produces knife edges equal or superior to the finest hand stropping. Includes video instructions. 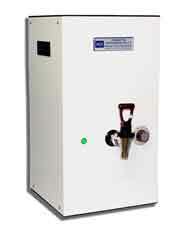 Made in U.S.A.
Chemical storage safety cabinets, welded double wall 18 guage construction. Plane- very concave hollow- ground blade with extra-thin cutting edge. Fresh specimens, alcohol-hardened objects soft celloidin objects. Plane- slightly concave hollow-ground blade with less thin cut-ting edge. Soft paraffin objects, harder celloidin objects. Plane both sides (wedge-shaped) standard profile. Paraffin objects, frozen objects, hard celloidin objects. Plane both sides (wedge-shaped) with steep cutting edge. Extra-hard objects such as leather, rubber, paper, film, wood, plastics.